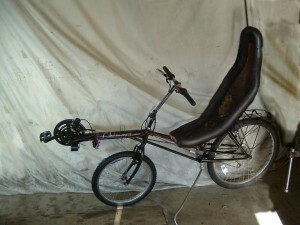 Recumbent bike made from 2 scrap bikes. Integrated lighting system and pannier rack. Not fast but very comfortable to ride and attracted lots of attention.